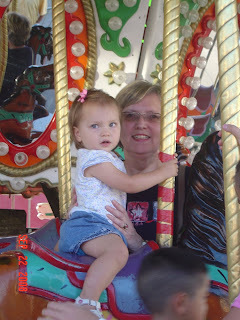 On Monday we drove to Fort Smith to see Mamaw, Grandpa Jack and Tammy. 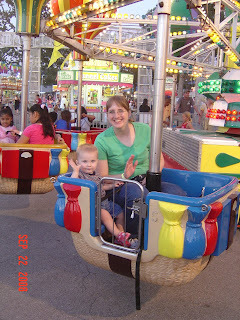 The state fair is going on so we took the opportunity to go on half-price armband night. 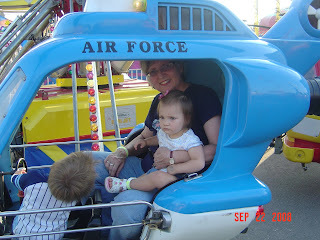 The kids had a great time riding the rides as many times as they wanted to. 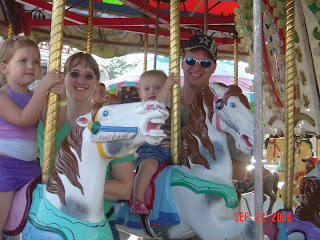 We even got all 3 to ride the real ponies! (Huge accomplishment!) We couldn't get any pictures, because the charged an outrageous price to have it done. The kids went strong until 10 pm and then crashed as soon as they were put to bed. Definitely could not do that schedule every night of the week!! 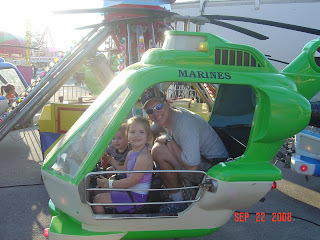 Hope, Tammy, Nolan and Daddy on the carousel. 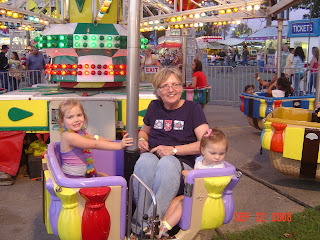 Grace never looks like she is having fun, but then doesn't want to get off!